At its conference in Vienna, OPEC announced a nine-month extension of its November 2016 deal to cut production. Markets were singularly unimpressed with the decision, which had been baked into prices for at least week, following considerable speculation and positive rhetoric from Saudi Arabia, Russia and other major OPEC and non-OPEC producers. Rather than boost prices, the OPEC announcement precipitated a fall in the WTI back below $50. The general consensus is that the organization delivered what it had promised, agreeing to keep production cuts in place until March 2018 rather than mandating additional cuts or pushing the end of cuts to May 2018. Price fluctuations in the wake of the meeting don’t mean much in absolute terms, as the real impact of OPEC and non-OPEC cuts, totaling 1.8 million bpd, will be felt later in the year. 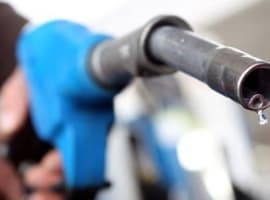 Both Saudi oil minister Khalid al-Falih and Russian minister Alexander Novak dismissed the immediate drop as momentary changes, assuring reporters that prices would recover in time. Novak later hinted that deeper cuts could be on the table, depending on how the supply situation changed in the immediate future. Projecting confidence in the future and assurance that things will improve is part and parcel of the organization’s strategy, which rests as much on rhetoric as it does on results. Whether the production deal delivers will depend on whether OPEC and non-OPEC members continue to comply with production cuts. But there are other long-term factors that have to be considered, beyond the long-expected decision by OPEC to keep production cuts in place. 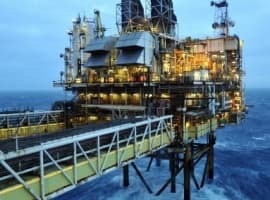 Oil bear Goldman Sachs has warned that ending cuts will bring back a supply glut, pushing inventories up and effectively erasing the impact of cuts, just as increased U.S. production in January-February 2017 reduced the initial impact of the OPEC cuts to nil. That impact could be exacerbated if some OPEC members, particularly those gunning for more revenue, increase production before March 2018. Iran has already said that it does not wish to reduce production below its current level of 3.8 million bpd, while Iraq has generated considerable speculation regarding its potential for sinking the whole deal by ignoring quotas. Both have come out in favor of the cuts, but rhetoric may not align with realities. Important caveats come with each country’s cooperation. The Iraqi oil minister has noted that Kurdistan, Iraq’s oil-rich northern region which enjoys semi-independence, will not be included in the cut extension. Bijan Zanganeh, Iran’s combative oil minister, is secure in his position within the Rouhani government which was re-elected by a considerable majority of Iranian voters last week. Yet he will be under more pressure to deliver on the government’s promise of new oil contracts, increased investment in infrastructure by foreign companies, and production reaching 5 million bpd by 2021. As Daniel Yergin explained to CNBC, OPEC is attempting to not just re-calibrate markets, but is itself adapting to a changing environment, one in which lower costs, increasing production from the US and new competition over demand will define the organization’s place much more than relative levels of production. It’s a whole new world, one in which OPEC’s ability to produce cheap crude isn’t as pivotal as it once was. 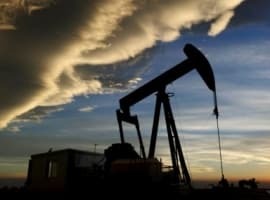 It’s common to discuss OPEC and U.S. shale producers as directly competing with one another, though Saudi oil minister al-Falih likes to claim that they could “coexist.” Representatives from the U.S. shale sector attended the Vienna conference, indicating that cooperation between American producers and OPEC could be a possibility in the future. But that’s unlikely, given how hostile some OPEC producers are to the new challenge from the U.S., as well as the interest American companies now have in raising production. With improving technology and efficiency, break-evens in the Permian Basin and elsewhere have plummeted, allowing US producers to compete at cost with OPEC. The EIA has had to raise its projections for US production. The agency now estimates American output will grow by 800,000 bpd in 2017, with annual production reaching 9.3 million bpd and exceeding 10 million bpd in 2018. It’s possible that by 2020, the United States could have enough spare capacity to rival Saudi Arabia and Russia. Related: Is The U.S. Getting Left Behind In The Renewable Race? Lowering costs in the United States, and consequent rising production, is probably the most important long-term trend to consider in the wake of the OPEC announcement. American companies can turn a profit at $45-50, a point which continues to inflict pain on OPEC. Venezuela faces near total economic and political collapse as the result of the post-2014 drop in prices. Saudi Arabia struggles to balance its budget, Nigeria handles violence in is oil fields, Libya continues to slowly pull itself back into political cohesion, while Iraq looks to its post-ISIS reconstruction. All these factors, which will continue to influence markets in the long-term, may explain why the reception to OPEC’s pomp and circumstance this week amounted to a collective shrug. After several years of rhetoric and a production cut agreement that budged markets for only a few months before being negated by changes elsewhere, the OPEC playbook seems to lack new moves.